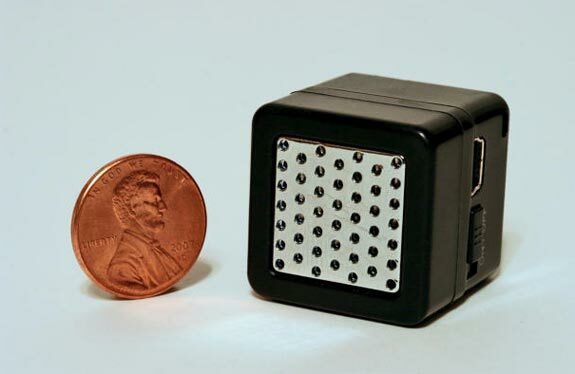 We have seen lots of tiny gadgets and small speakers here ate Geeky Gadgets, but none as small as the Super Mini Cube Speaker which is reported to be the World’s smallest speaker. As you can see from the photo Super Mini Cube Speaker is tiny measuring just 26mm by 26mm by 25mm and weighing a tiny 17g. This tiny speaker will work with the majority of MP3 players and iPods via the 3.5mm audio jack, if you want one they are available for $10 from USB Fever.